With an Introduction and Notes by Dr Emily Alder, Lecturer in Literature and Culture at Edinburgh Napier University 'Each time I dip a living creature into the bath of burning pain, I say: this time I will burn out all the animal, this time I will make a rational creature of my own!' declares Doctor Moreau to hapless narrator Edward Prendick. Moreau's highly controversial methods and ambitions conflict with the religious, moral and scientific norms of his day and Wells later called The Island of Doctor Moreau 'a youthful exercise in blasphemy'. Today his vivid depictions of the Beast People still strike modern readers with an uncanny glimpse of the animal in the human, while the behaviour of humans leave us wondering who is the most monstrous after all. This volume unites four of Wells' liveliest and most engaging tales of the strange evolution and behaviour of animals - including human beings. 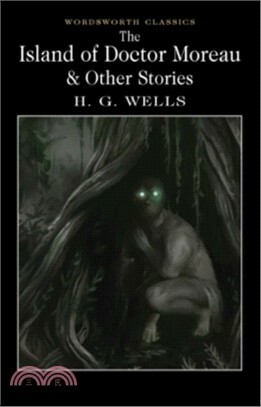 The Island of Doctor Moreau is followed by three fantastic yet chillingly plausible short stories of human-animal encounters. The Empire of the Ants is a darkly humorous account of intelligent Amazonian ants threatening to displace humans as 'the lords of the future and masters of the earth'. In The Sea Raiders, the south coast of England is terrorized by an unwelcome visit from deep-sea predator Haploteuthis ferox, while Aepyornis Island provides a marooned egg collector with an unusual companion.